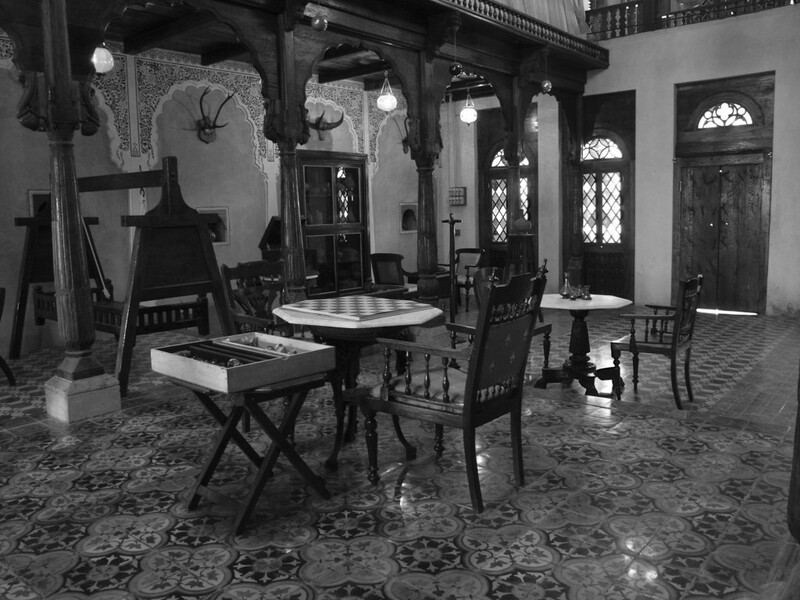 Shenoy collects old homes – beautiful, intricately carved, ancestral homes that belonged to the wealthy landed gentry of South Karnataka. Land reforms, modernization and urbanization that broke down joint family systems and pastoral livelihoods, began to erode a way of life that had existed for centuries. Unwanted by their city-dwelling heirs, ancestral homes – empty or inhabited by aging grand parents – began collapsing in the countryside. Piled high on carts, exquisitely carved wooden ceilings, pillars and doors made their final journey to the slaughter house of saw mills to be sliced and sold as firewood. Lovingly sculpted bell metal objects were melted down in foundries. That was in the 1974 and as an employee of Syndicate Bank in Manipal, 40-year old Shenoy did not have much money to undertake his mission. So he began by rescuing a door here, a pillar there, from the brutal encounter with the buzz saw. He bought what he could afford. What he couldn’t, he pleaded with the owners to donate to him instead of selling to scrap dealers. He retrieved traditional artifacts from junk yards, unused attics and debris of demolished homes. Bit by bit, he collected. And built a home for himself, using all these salvaged materials. It took him five years to complete the house he named “Hasta Shilpa” – Creation by Hand. It was not merely a museum of traditional craft. It was a condensed recreation of a composite architectural tradition in all its glory. It conformed to the principles of Vaastu Shastra that combines physics with metaphysics, utility with harmony. Above all, it was a monumental vision of loveliness – a memory coming alive from the past to touch the soul of visitors. The fabled beauty of this recreated home spread far and wide. Intellectuals, commoners, students all flocked to Manipal to marvel the house that Shenoy built. It touched a powerful chord in the public. But it struck a discordant note at home. It became impossible for the Shenoy family to live in a house where visitors streamed in constantly. His two children could not study. His wife had no privacy. The choice was stark: either they ban visitors or they move out. Shenoy did not agonize over the decision. In 1991, he converted Hasta Shilpa into a Public Charitable Trust and moved out to a new and ordinary home. Hasta Shilpa contained priceless objects, but there was no question of selling the house because he fervently believed he was not the “owner”. He was merely its Custodian. Heritage is not a matter of individual ownership; it is an issue of collective entitlement. How could he change track and become selfish when it was this belief that had spurred him on his mission? He vividly recalls the pain of seeing a beautiful ancestral home in Malnad being torn down by its owner in 1983. He begged, pleaded and cajoled, but the adamant owner only got angrier. In desperation, Shenoy yelled at him: “You have no right to demolish this house. It doesn’t belong to you. It belongs to all of us.” The owner got so furious at Shenoy’s effrontery that he had him physically thrown out of his estate. 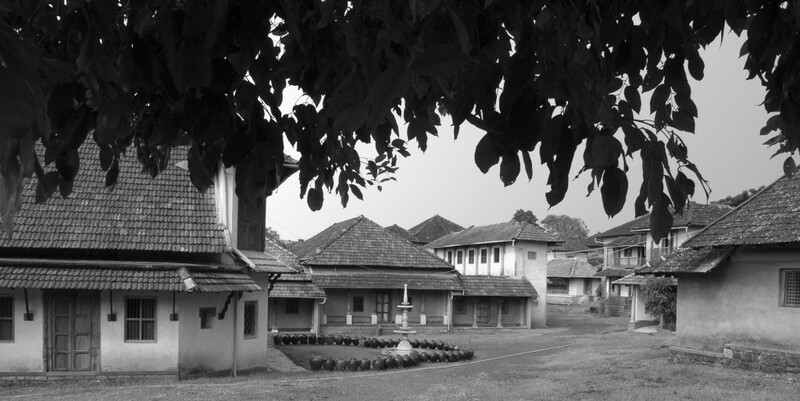 From a distance, Shenoy watched the grand old manor come down. He wept for the second time in his life. The first was when his mother died. Two decades have gone by, but the memory remains an unhealed wound. Shenoy’s voice breaks and his blazing eyes fill with unshed tears as he remembers the humbling of a glorious tradition. From that helplessness was born a steely determination to save not only homes, but the precious architectural heritage of his region. It was not enough to save a few utensils, window frames and carved doors. He had to save whole homes that contained within its shaded interiors, the whispering narratives of his ancestors. From an ordinary bank employee, he became an extra ordinary heritage conservationist. And a new vision possessed him – to set up a Heritage village in Manipal where he could transplant and preserve whole homes. It was a difficult and delicate task – dismantling crumbling homes, transporting every little item, reassembling and preserving them. With Rs.40 lakh donation from NORAD, the Norwegian Aid Agency and six acres of land from the government, Shenoy dedicated himself to fulfilling his vision. He now has reassembled 26 beautiful traditional structures in his Heritage Village. The buildings represent different architectural styles, both secular and sacred. It comprises hermitage, temples and homes belonging to Brahmins, Mangalore Christians and Nizams, to affluent feudal landlords and even an ascetic Hindu pontiff. What is perhaps most striking about these gracious old homes is the way they arise naturally from the womb of the earth. What imbues them with this aura of belonging to the local context, of oneness with the surrounding nature is perhaps the fact that the building materials are natural and drawn from the nearby forests, plains, sea coast and rivers: the houses are built with timber, granite, laterite, terracotta tiles, mud, lime, stone, straw and sand. All bio-degradable. They came from earth and unto earth they shall return. Unlike the modern RCC (the reinforced concrete cement) monstrosities that have disfigured the countryside. Shenoy hates them with a passion. He exclaims: “These RCC structures are like cancer. The earth won’t take them back. They are more dangerous than nuclear bombs. When I see an RCC construction, I feel like reaching out for a hand grenade.” Shenoy acknowledges that modern skyscrapers need to be built of glass and chrome, steel and cement. But he doesn’t understand why people use RCC to build matchboxes they call homes, which trap heat, to cope with which they need air conditioners that punish them with huge electricity bills. 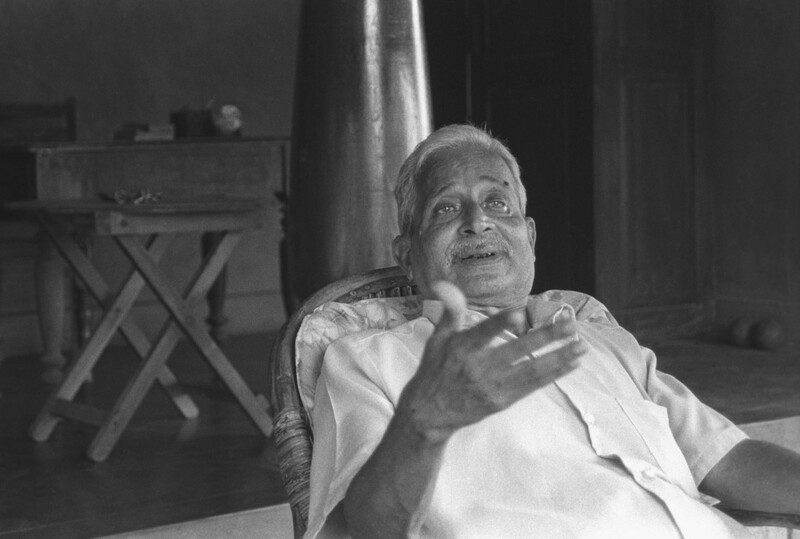 Shenoy passed away in March 2017. The Heritage Village is now open to tourists. Discerning visitors – students of architecture, scholars, researchers, designers and conservationists are welcome. With its array of elaborately hand crafted homes, its stunning galleries of historic Ravi Varma lithographs and magnificent Tanjore paintings, its museum of tribal sculpture, folk and contemporary art, it’s training centre for artisans to keep alive traditional skills in handloom weaving, pottery, metal casting, wood carving, mud processing and stone cutting, the Heritage Village is a tribute to the vision and will of one remarkable man. Posterity has to be eternally grateful to Shenoy for single-handedly conserving South Karnataka’s rich architectural legacy. His success demonstrates how passionate dedication driven by noble, unselfish motives can achieve spectacular results. Pain drove Shenoy to save his heritage. And Deccan architectural heritage found its Champion. 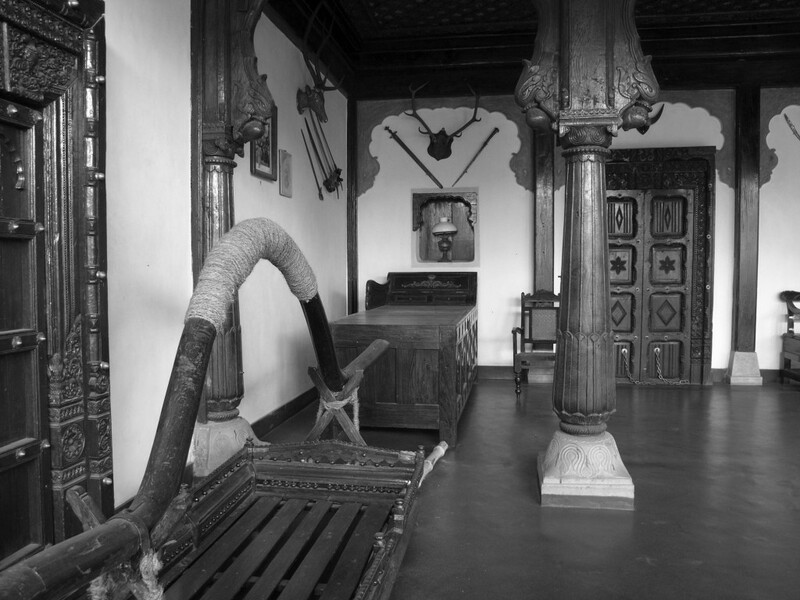 A view of the 200 years old durbar (court) hall of a palace built by the Ghorpades of Mudhol in northern Karnataka. 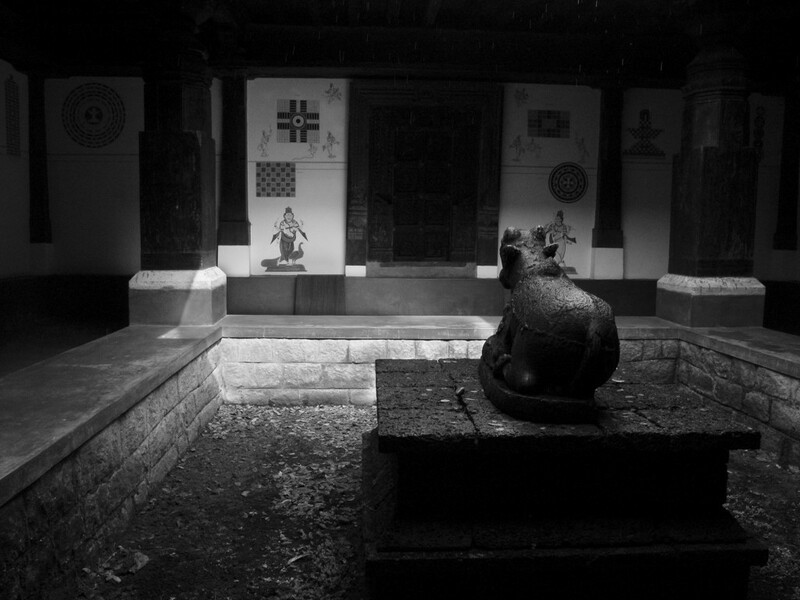 When the Raja of Mudhol held court, all the ministers, noblemen and key officers used to assemble here. 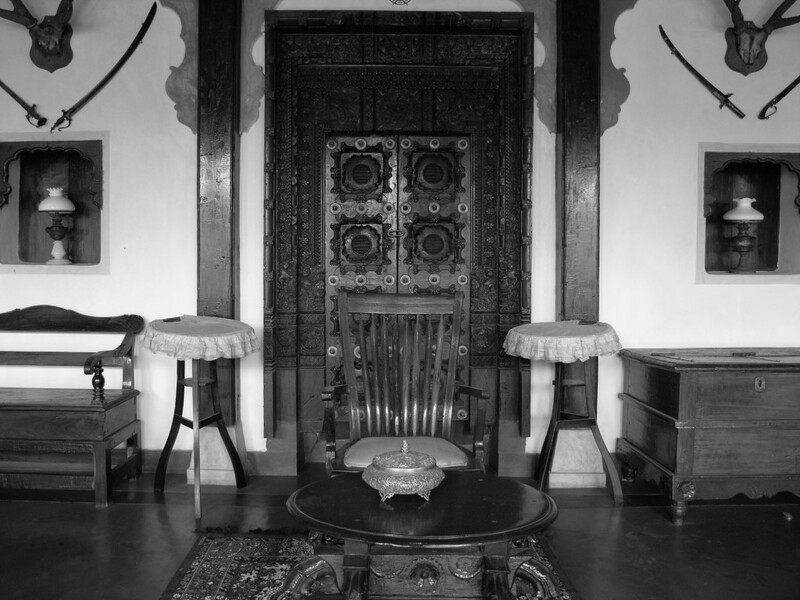 Interior of a Nawab Mahal of the Barid Shahi dynasty of the Deccan. Belgian glass, Australian chandeliers, German floor tiles, Birmingham made cast iron grilles and staircases reflect the wealth and the social standing of the family that owned the mansion. A fountain made from Italian marble in front of theNawab Mahal of the Barid Shahi dynasty of the Deccan. A panoramic view of the Hasta Shilpa Heritage Village. 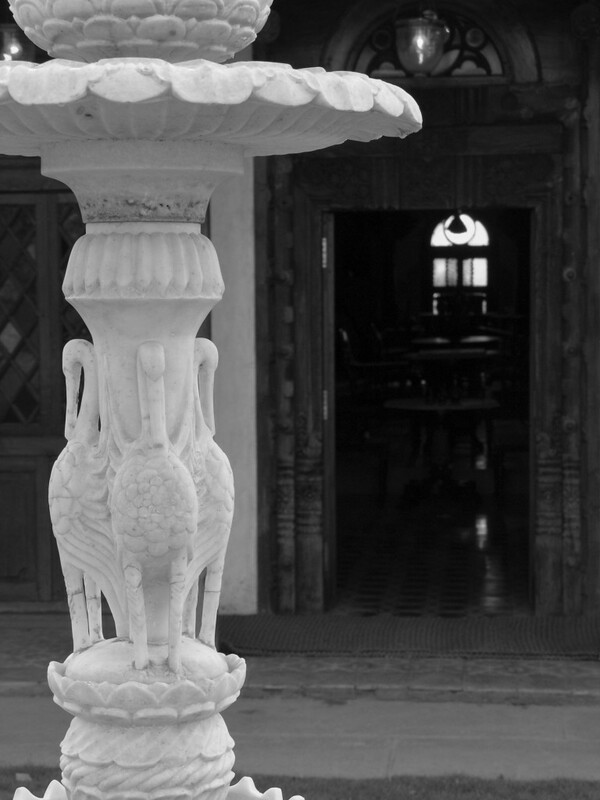 Vijayanath Shenoy has translocated and reconstructed 26 beautiful traditional buildings here.